Following an almost two-decade-long hiatus, not to forget a recent year-long tease involving a concept car and participation by track versions in international endurance races, the production BMW 8 Series coupe is finally a reality, having been officially unveiled at the Le Mans 24-hour race earlier this month. 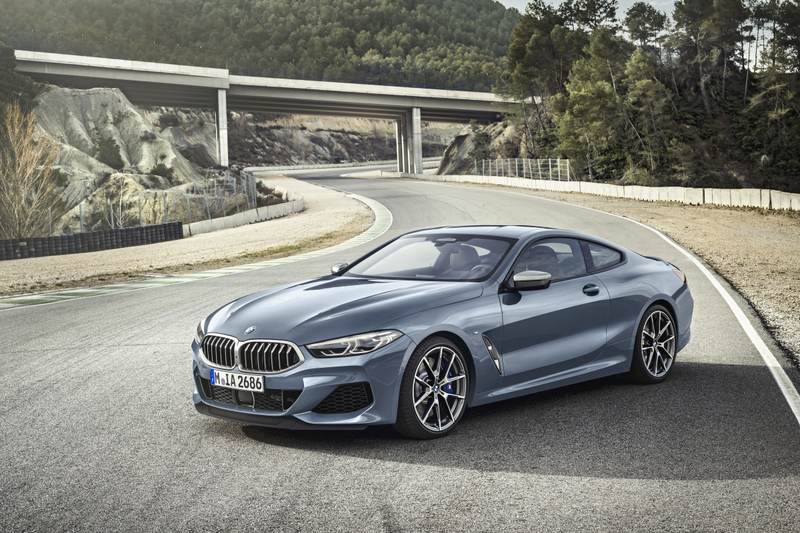 Although deliveries of the luxury GT coupe aren’t expected to begin until the end of 2018, the range will eventually encompass cabriolet and four-door Gran Coupe variants, as well as a high-performance M8 version that’s likely to join the line-up around a year from now and share much of the internals of the current M5 saloon. Visually the coupe isn’t much changed from the concept car shown last summer at Villa d’Este, and as the latter looked properly swoopy and purposeful – and with all the requisite brand identifiers, such as large and aggressive kidney grilles, and plenty of surface creasing – we’ve no problems with that at all. Launch customers get a choice of two engines – a three-litre, six-cylinder turbodiesel in the 840i or the 850i’s 4.4-litre twin-turbo V8 – but irrespective of the power unit, eight-speed automatic transmission, xDrive all-wheel drive and all-wheel steering all come as part of the package. And as BMW claims the 850i can reach 100km/h from a standstill in just 3.7 seconds, we can expect the forthcoming M8 to be supercar-quick. Lovely and desirable though the original 8 Series was – and, don’t forget, it was offered with either V8 or V12 power during its unusually lengthy 10-year production run – it never aspired to be much more than a supremely rapid and relaxed luxury GT. For its 21st-century iteration, however, BMW has clearly aimed much higher, gunning for the S-Class Coupe and even Bentley’s new Continental GT. This time around, moreover, we don’t see it missing the mark.